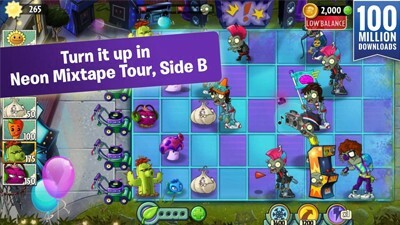 Here's the 2nd part of the quick walkthrough and strategy guide for the "Neon Mixtape Tour - Side B" stages in the strategy defense game - Plants vs. Zombies 2: It's About Time! Turn it up in Neon Mixtape Tour, Side B. - Play Neon Mixtape Tour Quick Walkthrough and Strategy Guide first before this guide! - Diverts zombies into other lanes, a good stalling plant for Phat Beets and Snapdragons. - These cute little berries can 1 hit kill any zombie, even Gargantuars! Not free though hehe. - Spawns new Spore-shrooms from defeated zombies, a necromancer shroom, I like it! - Drag and drop on fallen plants (grayed), to bring them back. Do not revive plats with less than 100 Sun though. - PF: Sunflower: quickly use to get fast Sun early on. - Keep placing 5 Sunflowers, then put 1 Snapdragon and Stallia to defeat the first zombie. For the next Bucket zombie, place 1 Magnet-shroom and more Snapdragons. Keep putting more until complete, then spam Phat Beets. - Thyme Warp: Use if tough zombies starts to attack your Snapdragons. - Wall-Nut and Endurian: As usual, place them to defend your Snapdragons from tough zombies. - Support: Cherry Bomb, Stallia and Thyme Warp. - Just keep planting 5 Sunflowers, then use Cherry Bomb and Chili Bean to clear the first wave, aim wisely. Place 2 Snapdragons and 1 Magnet next, then continue with the formation, but when the music starts to play faster, use Thyme Warp to protect your plants for now. - Thyme Warp: Use if tough zombies attacks your Snapdragons, or if they manage to get through your defense. - Cherry Bomb and Chili Bean for support. No need to use the Garlic. - PF: Electric Blueberry to hit up to 3 targets, killing them instantly even Gargantuars! - Thyme Warp: Use if needed. - Just keep planting 5 Sunflowers, then use 1 Chili Bean to defeat the Glitter Zombie (before the music starts). Setup 2 Snapdragons and 1 Magnet on the 2nd column, then use Cherry Bomb on the 2nd Glitter Zombie. If the Cone zombie is still moving, use Chili Bean. - Complete 2nd column, and once the music starts again, use Cherry Bomb to defeat those 2 Cone zombies and 2 Breakdancer zombies, aim well to blow them all up. - When facing those wave of Glitter zombies, wait until they glitter, then use Thyme Warp to move them all back for now and protect your Snapdragons. - Continue with the formation while using Stallia, Cherry Bomb, Chili Bean, and Thyme Warp. - Refer to the screenshot below for the formation. - PF: Infi-Nut to bring up shield, then Snapdragons vs Gargantuar. - Plant 5 Sunflowers then use Cherry Bomb and Chili Bean for the first 2 zombies, if they are close to each other, just use Cherry Bomb. Plant 1 Magnet next to take of the Punk zombies. - Place 2 Snapdragons and 1 Infi-Nut, then use first PF to bring up shield. - Continue with the formation while using Cherry Bomb and Chili Bean. If a zombie manages to get through your shield, use Thyme Warp. - For the Gargantuar, 1 PF on Snapdragon and 1 Cherry Bomb should be enough, aim well. If your Cherry Bomb is still on cooldown, use Thyme Warp. - Just Spam them out LOL! Use Cherry Bomb if needed. - Plant 4 or 5 Sunflowers and start spamming Spore-shrooms! - Cherry Bombs can clear those arcade cabinets fast. - Thyme Warp and Cherry Bomb is really good, remember this combo. - PF: Laser Bean, just use 2 per Gargantuar. - You should be ok, unless your Spore-shrooms are very unlucky on getting last hits. You still have 50 Sun left for 1 Chili Bean if needed. - Start with 5 Sunflowers, then feed Chili Bean to the first zombie. - Use Cherry Bomb vs those first 2 Glitter Zombies to quickly expose protected zombies, use Chili Bean if their is a tough one like Cone zombies. - Continue with the formation using Chili Bean, Cherry Bomb to defeat tough zombies. - Reminder, use Thyme Warp if zombies gets too close to your main plants, especially when the music starts to beat faster, then if available, use Cherry Bomb to annihilate most of them. - Use Stallia, Stunion/Iceber Lettuce, and Thyme Warp for support. - Start with 5 Sunflowers, then feed Chili Bean to defeat the first zombie as usual. Next, just place 2 Spore-shroom at the center lane, to let the Punk zombies move the Spore-shrooms back. If you're lucky, your Spore-shrooms will stop on the 3rd or 4th column. - Feed another Chili Bean for the Bucket zombie, then start spamming more Spore-shrooms all the way while using Stallia, Cherry Bomb, Chili Bean and Stunion to eliminate tough zombies. - Reminder, use Thyme Warp if zombies gets too close to your main Spore-shrooms. - PF: Fume-shroom to destroy group of zombies. - At the start, place your shrooms on lanes with zombies, and your Garlic on lanes without shrooms. - Cherry Bomb: use to protect your plants at the start, then use to destroy arcade cabinets, glitter, and tough zombies later. - Intensive Carrot: Drag and drop on fallen plants (grayed), to bring them back. 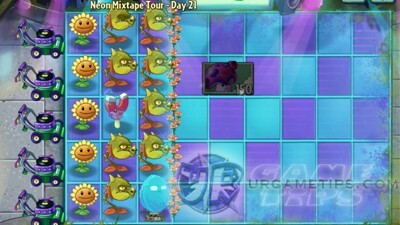 - Start with 5 Sunflowers and complete 3rd column of Phat Beets to counter the first zombie wave. Use Cherry Bomb to clear out the first wave of arcade cabinets, then the upcoming ones. - Continue with the formation placing at least 3 Magnets, then the 3rd column Phat Beets. - Use Cherry Bomb and Chili Bean vs tough zombies. - Thyme Warp if zombies reached the 3rd column. - Intensive Carrot: Optional, do not revive plats with less than 100 Sun though. - While planting 5 Sunflowers, place 1 Magnet at the center of the 2nd column, and 1 Chili Bean for the little zombie. This will take care of the first 2 waves of zombies. - Next, complete the formation, use Stallia and Thyne Warp to stall zombies. - Use Cherry Bomb and Chili Bean to destroy arcade cabinets and tough zombies. - Lawn Mower: Tap+Hold one to easily defeat the Gargantuar here. - Only plant 3 Sunflowers then turn off the Speed Booster to make things easier from here. Place 1 Potato Mine on the 3 column to get ready for the first zombie. - While waiting, Plant your 4th Sunflower, then place 2 Snapdragons on the 2nd column. Earn your Sun and wait for the Thyme Warp to cooldown, use it before the 2 MC Zom-Bies attacks your Snapdragons. Once they get warped, 2 Breakdancer zombies will also come in, use Cherry Bomb to defeat all four, aim well. - For the next huge wave, quickly plant 1 Potato Mine on the 3rd column to get ready for the Bucket zombie (usually enters from the middle lane), then just continue planting more Snapdragons, focus first on the 3 center lanes. Watch out for the top and bottom lanes though, use Chili Bean and Stallia to stall them. Once cleared you should have around 6 Snapdragons on the 3 center lanes. - Continue with the formation while using Cherry Bomb and Chili Bean, Stallia and Thyme Warp (if zombies managed to get through or to protect plants). - Cherry Bomb: to destroy arcade cabinets, tough zombies, and Gargantuars. - To Defeat the Gargantuars, just use your PFs to your Snapdragons, and use Cherry Bomb too. - Start with 2 Sun-shrooms and 1 Electric Blueberry to defeat the 1st Gargantuar. Next, plant 1 Spore-shroom to defeat the green zombie that carries a PF. - Plant more Sun-shrooms and Electric Blueberries whenever possible. 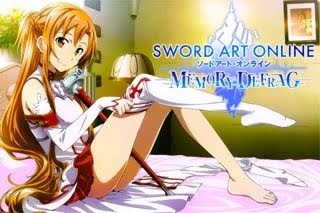 - This is crazy random LoL, but doable with any strategy, just keep spamming. - PF: Cactus to deal nice damages on the boss, or use on your Celery Stalkers to let them multiply! - Maintain 1st column with 3 Cactus (preferably on the 3 center lanes) and Spore-shrooms. - Maintain 2nd column with Phat Beets and Spore-shrooms, 3rd column for extra plants. - Celery Stalkers: Place at the back of zombies, 4th~6th column. - Stunion vs group of zombies, or to stun the tough ones including Gargantuars. - Garlic: Place on the right most area, on lanes with only few plants. - Defend you land mowers to greatly help you on the Gargantuar battles later. - Once the Gargantuars comes in just focus your attacks on the boss (or stage) to defeat Dr. Zomboss and finish the battle. - The 1st Part of the Jurassic Marsh is now available HERE.